I loved using the D800. I adore the sheer quality it delivers for the money, and if it fits with your style of shooting, you'll love it too. 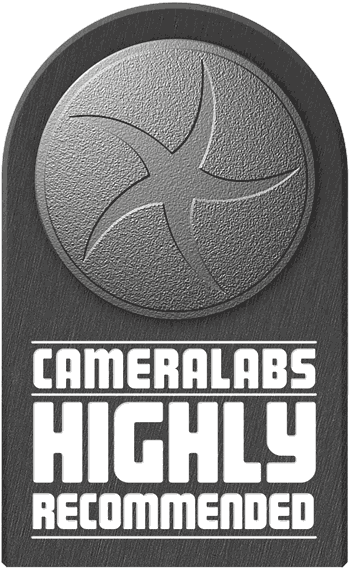 It's an easy camera to Highly Recommend, although again it pays to know it's strengths and weaknesses as the 5D Mark III may be better for you. The Nikon D800 is a full-frame 36 Megapixel DSLR with Full HD video capabilities. Announced in February 2012, it arrives three and a half years after the D700, Nikon’s first ‘affordable’ full-frame DSLR. 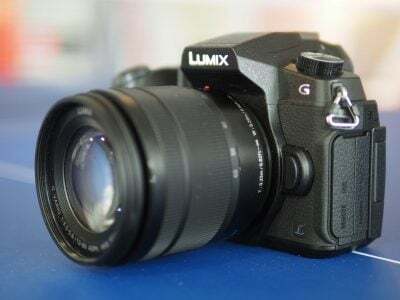 Three and a half years is a long time in the digital camera industry and to describe the D800 merely as highly-anticipated feels like an injustice. This is a camera which many people have been waiting a very long time for and Nikon has pulled-out all the stops. The D800 features a brand new 36 Megapixel full-frame FX-format sensor, which makes it the highest resolution camera outside of the medium format world. That’s one third more than Nikon’s previous flagship, the D3x, more than a third higher than Canon’s EOS 5D Mark III, and a whopping three times more than the D700. I’ll go into much more detail later, but anyone with concerns over noise should find it reassuring the D800 shares essentially the same pixel density as the D7000 which bodes well for quality and dynamic range. The earlier D700 predated the video revolution on DSLRs, so it’s not surprising to find the D800 making major upgrades in this respect – indeed the D800 shares almost exactly the same video specifications as the D4 which means you get 1080p and 720p at maximum frame rates of 30 and 60fps respectively, along with an external microphone input, headphone jack and uncompressed HDMI output. The D800 also inherits the 51-point AF system of the D4 along with its 91k metering sensor and 3.2in screen. The D800 is additionally available in a D800E version with a modified low pass filter for those who want manage their own moiré and potentially unlock the maximum detail from the sensor. There’s loads to discuss and digest so in my review I’ll explain the new features in detail and what impact they’ll have in practice, while also comparing it closely to its arch rival, the Canon EOS 5D Mark III. Three and a half years may have passed between the D800 and its predecessor, but at first glance they look pretty similar from the outside with only the curvier sloping shoulders of the new model giving the game away. Nikon quotes the D800 as sharing the same degree of toughness and weatherproofing as the D700, although in a nice upgrade the D800 now enjoys 100% coverage from its optical viewfinder compared to 95% on its predecessor. Measuring 145x122x81mm, the D800 shares essentially the same dimensions as the 147x123x77mm of the D700, but is 95g lighter for the body alone. Compared to the Canon EOS 5D Mark III, the D800 is 7mm narrower from the front, but 5mm taller and 5mm thicker, and 50g heavier including battery. Handle both bodies in person though and it’s fair to say their size and weight are roughly the same. Once a lens is mounted it’ll have a much greater influence over the overall size and weight. In your hands the D800, like all higher-end Nikon bodies, feels superb. Years of refining the ergonomics has resulted in a body which feels very comfortable and secure with all the controls falling naturally under your fingers and thumbs. As always Nikon has implemented a hooked inner area on the grip for your fingertips which improves your hold, although I should note the rear thumb rest isn’t as pronounced as that on the EOS 5D Mark III. Overall I actually found the Mark III felt a little better in my own hands, but it’s a highly personal choice and I can’t fault either of them on design and ergonomics. In terms of build, Nikon quotes the D800 as having a moisture and dust-resistant body. That’s more of a definitive statement than Canon describing the EOS 5D Mark III as being ‘tougher and better weather-proofed than the 5D Mark II, but not to the same degree as the 1D series’. During my time with both cameras, I was blessed with dry weather so can’t say for sure if one is better than the other in terms of weather-sealing, but as both cameras make their ways into the hands of photographers I’ll report back with anecdotal reports. I’m pleased to report the popup flash of the earlier D700 still remains. Pleased because I personally find them really useful for basic fill-ins and the one on the D800 can also be used as a wireless flash controller without the need for an additional accessory. I know there’s arguments against them for ultimate body toughness and integrity, but the lack of a built-in flash is one of my biggest bugbears about the Canon EOS 5D series to date. The D800’s popup flash has a guide number of 12 / 39 at 100 ISO and can exploit iTTL control using an 86k RGB sensor. This is weaker than the 17 / 56 Guide Number of its predecessor, but remember that was at the D700’s base sensitivity of 200 ISO. In use the D800’s popup flash provided a very natural-looking fill-in outdoors, and also enjoyed a longer reach than you might assume; don’t underestimate its usefulness. What you won’t find in the D800 though is a built-in GPS. Nikon continues to offer this as an optional accessory (the GP-1), but like many photographers, I’d much prefer to simply have it built-in, not just to save money but for aesthetics and convenience. I realise getting GPS signals into a fully metal body like the top-end D4 is tricky or even impossible, but the presence of a popup flash on the D800 means there’s plastic up there which could in theory have accommodated some kind of receiver underneath. It’s a missed opportunity to jump ahead of Canon in my view. You’ll need to pay for Wifi connectivity too with the optional WT-4. To be fair, Canon also forces you to pay for GPS and Wifi accessories on the EOS 5D Mark III, but that doesn’t make me any happier: I’d really like to see both Wifi and GPS integrated into every higher-end camera where physically possible and whoever does it first will enjoy an edge over its rivals. My money’s on Sony which already builds GPS into the SLT-A77. A quick note on using an Eye-Fi card for wireless connectivity: in theory the D800 does support Eye-Fi cards, but according to some user reports at the time of writing in mid-2012, they’ll only work reliably with a wireless access point, and not in direct mode. So for now it would appear that using an Eye-Fi card to create its own network and directly connect to, say, an iPad is sadly out of the question. Check the Eye-Fi forums for the latest updates. Moving onto power, Nikon’s switched from the EN-EL3e of the D700 to the EN-EL15 for the D800, quoting 1000 and 900 shots for each camera respectively. So the battery life has reduced, but not by a significant amount. It is however worth noting the EN-EL15 is a slightly more expensive battery, but given it’s the same pack used by the D7000 and V1, you may already own a spare, and of course the charger is also common across all three. Those who want longer battery life can fit the optional MB-D12 battery grip which also offers portrait controls. The grip works with the standard EN-EL15, but with an adapter can accommodate the D4’s EN-EL18 pack or a set of AA batteries. If you’re using an EN-EL18 or set of AAs, you’ll also enjoy a minor boost in continuous shooting speed for the DX crop mode from 5 to 6fps; note the type of battery has no impact on FX shooting speed. The D800’s control layout also shares many similarities with the D700, although there are of course some changes to accommodate the new movie mode. Where the AF area switch was located on the back of the D700 you’ll now find one devoted to switching between movies and stills, with a live view button in the middle. Between the mode button and shutter release, Nikon’s now squeezed-in a video record button. The large dial on the upper left side now also includes a fourth button to directly access bracketing. Round the front there’s still two buttons to the left side of lens mount, but they’re now closer together and can be used to finely adjust the aperture during the movie mode – a fantastic addition, although one which is annoyingly disabled once the camera starts recording video, so you can only use them in conjunction with an external recorder connected to the HDMI output. And in another bizarre decision, the five buttons on the left side of the screen may share the same functions as the D700 before it, but the zoom-in and out buttons have switched positions; it’s almost as if Nikon wants to make sure we’re all awake and paying attention. In terms of side-connectivity, the D800 features USB, HDMI and two 3.5mm audio jacks, one for external microphones and the other for headphones, the latter a nice update for videographers which the EOS 5D Mark III also shares. Note unlike the Mark III though, the D800’s USB port supports USB 3 for potentially quicker transfer of data when directly connected to a computer which sports a USB 3 port and OS compatibility (although I only had a computer with USB 2 at the time of testing so can’t speak of any benefits). And in a move which will make Mark III videographers jealous, the D800’s HDMI port will also output a clean uncompressed signal (8 bit, 4:2:2), allowing you to connect a larger and more detailed monitor, or capture the feed with a higher quality external recorder. The uncompressed HDMI output is inherited from the D4 alongside its microphone socket and headphone jack, all very welcome enhancements. The D4 does however feature a wired Ethernet port that’s absent on the D800. For completeness I should also mention the D800 is lacking its predecessor’s DC input, so for mains operation you’ll need to go via the battery compartment with the optional EP-5B. Round the front of the camera to the non-grip side of the lens mount you’ll find two more connectors: a standard PC-sync terminal for connecting external lights and Nikon’s ten-pin remote socket where you can connect a cable release or GPS accessory. In another welcome upgrade over the D700, the D800 sports not one but two memory cards slots: one for CF cards and the other for SD, and it’s possible to configure the camera to record duplicate files to both cards, JPEGs to one and RAWs to the other, or images to one and movies to the other. The D800 also exploits the speed of the UDMA-7 Compact Flash and UHS-1 SD standards. The D4 also offers dual card slots, but instead of traditional Compact Flash, it supports the new XQD format. It’s always nice to support the latest standards, but by equipping the D800 with both CF and SD slots, it will support your existing cards regardless of which Nikon (or indeed Canon) model you’re upgrading from. I should also note dual CF and SD slots are present on the Canon EOS 5D Mark III, and while it doesn’t claim to exploit UHS-1 SD cards, I found it still managed to flush its buffer quicker in practice than the D800 – see my continuous shooting section below. In a welcome upgrade over the D700, the new D800 boasts an optical viewfinder with 100% coverage compared to 95% on its predecessor. Combined with the 0.7x magnification you’ll enjoy a large, bright and accurate view when composing your images. If you’ve only composed with cropped-frame DSLRs before, you’ll be surprised and delighted by the size of the view through a full-frame body, although to be fair, the EOS 5D Mark III also now features 100% coverage and switching between both bodies reveals they share essentially the same viewfinder coverage and magnification. The D800 also inherits its predecessor’s on-demand LCD graphics in the viewfinder, letting you switch an alignment grid on and off, and allowing the camera to indicate which of its 51 AF-points are currently active without really clogging-up the view with inactive etchings. To this the D800 also adds vertical and horizontal scales on the right and bottom sides which optionally indicate a virtual horizon in two axes. These dedicated viewfinder levelling gauges are a nice addition which you won’t find on the EOS 5D Mark III, despite Canon copying the on-demand grid lines and AF areas. Running along the bottom of both viewfinders is a wealth of information including the aperture, shutter, ISO and remaining shots at all times, along with an exposure compensation scale and focus indicator. The Nikon D800 also displays the metering mode, while the Mark III shows battery life. One final point, the D800, like earlier high-end Nikon DSLRs, features a small lever by the viewfinder which closes a built-in blind to prevent stray light from entering, whereas the Canon requires you to clip a cover over. It’s a classy touch on the D800. Round the back, the D800 sports the same 3.2in / 920k screen as the D4; both are larger than the 3in screen on the D700, although the resolution and 4:3 aspect ratio remain the same. This means images in the native 3:2 aspect ratio are shifted to the top of the screen, leaving a black bar along the bottom for shooting information. On the one hand it’s nice to have this separation of information, but it’s worth noting Canon has been employing wider 3:2 shaped screens on its recent DSLRs – including the EOS 5D Mark III – which match the native shape of their images. This means images fill the Canon screens and maximise all the available 1040k pixel resolution, while 16:9 movies will appear larger and more detailed too. In practice, images on the D800 screen measure 3in on their diagonal as oppose to 3.2in on the Mark III, and also measure 640×426 pixels as oppose to 720×480 pixels. These numbers may seem minor, but believe me when both cameras are placed side by side, the displayed images from the Mark III are a little larger and more detailed, and certainly allowed me to confirm live view focus more easily with or without magnification. Entering Live View is very simple on the D800: just turn the switch on the rear of the body to the camera icon then press the LV button in the middle. Then with Live View active you can focus by either half-pressing the shutter release or pushing the AF-ON button. Like earlier Nikon DSLRs there’s two Live View focusing modes, AF-S Single AF or AF-F Full-time servo AF. The latter attempts to focus continuously on the selected AF area, but like AF-F in the movie mode you may find it spends more time searching than actually tracking; indeed if you’re anything like me you’ll turn it off straightaway. Pressing the Info button during Live View composition cycles through up to five pages of information and guides: the first superimposes a dual-axis levelling gauge, the second displays the maximum amount of shooting information, the third opts for a clean view with no overlays, the fourth finally brings a live histogram to a non-pro Nikon DLSR (hurrah!) at least during exposure preview, while the fifth superimposes framing guide lines. Pressing the magnify button gradually zooms-into the image to a maximum of 23 times, which corresponds to a 200% view on the displayed pixels. This certainly allows for accurate manual focus confirmation, but when comparing the D800’s magnified Live View against the Canon 5D Mark III, the latter still enjoyed a cleaner view with less moire on fine details. The Nikon D800 shares the same AF system as the higher-end D4: the ‘Advanced’ Multi-CAM 3500FX AF sensor, sporting the same 51 AF points (15 of which are cross-type sensors) as the plain Multi-CAM 3500FX in the earlier D700, but this time the advanced part refers to its ability to autofocus at slower apertures between f5.6 and f8, albeit with a reduced number of 11 AF points. 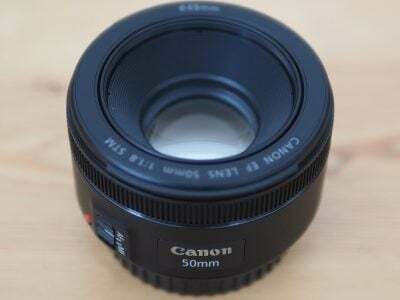 This sounds like a minor tweak, but will be welcomed by anyone who uses tele-converters and previously found themselves limited to manual focus only. It’s also a key advantage over the EOS 5D Mark III which can’t autofocus beyond f5.6. Like other recent Nikon DSLRs, there’s four AF Area modes to choose from: Single Point, Dynamic Area, Auto Area, and 3D Tracking. In Single and Dynamic Area, you can manually adjust the focusing point using the rocker control, with Dynamic Area also considering 9, 21 or 51 surrounding focus points if the subject moves (you can choose how many it should consider). In Auto Area, the D800 chooses the focus point automatically. With 3D Tracking, you manually select a focusing point and place it over the desired subject. With the shutter-release half-pressed, the D800 will then attempt to keep this subject in focus even if you recompose the shot. 3D Tracking also exploits colour information to help track a subject, although obviously if it’s the same colour as the background, the system will become confused. Nikon recommends 3D Tracking for quickly composing shots where subjects are moving erratically, such as tennis players. Meanwhile 9-point Dynamic is best for predictable motion, like runners or racecars, 21-point Dynamic is more suited to unpredictable motion like football players, while the 51-point Dynamic option is best for subjects which are moving quickly and can’t easily be framed, like birds in flight. As with all cameras which offer a variety of AF options, it’s a case of experimenting to see which works best for your particular application. It also pays to be flexible in your choice as the one Nikon thinks is best for a certain activity might not quite fit the one you’re trying to shoot. In use I found the 9-area Dynamic mode was great for tracking steadily approaching action, like jetboats and bikes. Meanwhile the 3D mode did a good job when there was sufficient contrast between the subject and background, like a brightly coloured skier or snowboarder against a white backdrop. Overall the D800 will have a good stab at tracking fast action, but it’s not really designed as a sports camera. When shooting side-by-side with the 5D Mark III it’s clear Canon is targeting action shooters more specifically with its broader range of AF options and presets, not to mention a more sophisticated AF sensor to start with: the Mark III boasts 61 AF points to the D800’s 51, but more importantly 41 of them are cross-type sensors compared to 15 on the Nikon. Bottom line? The 5D Mark III is a more sophisticated camera when it comes to AF and tracking in particular, but unless you’re a professional sports photographer you’ll probably be perfectly happy with the D800’s performance. Slightly confusing the matter is the D800’s ability to AF at f8 which would ideally suit super-telephoto lenses with converters, but this is more a feature inherited from the D4 than one specifically meant for the D800. In yet another feature inherited from the D4, the D800 enjoys a powerful metering system with 91k pixels, a considerable boost from the 1005 pixels of its predecessor not to mention the 63-zone system of the EOS 5D Mark III. This allows the D800’s new metering system to actually offer face detection and automatically meter for human subjects even when you’re composing with the optical viewfinder (although you won’t see frames around faces in the viewfinder). This is very useful to compensate for strong back-lighting, and information from the sensor is also used to aid AF, flash control and white balance. The technology comes together well under most circumstances, but bizarrely the D800’s Matrix metering, like many Nikon DSLRs preceding it, was frequently fooled into over-exposing by as much as a stop under very bright conditions. I’ve seen it happen many times with my main outdoor test shot in Queenstown, New Zealand, and Cameralabs’ contributor Ken McMahon has experienced it too in Cornwall, UK. Once you’ve seen it happen a few times, you know to underexpose under bright conditions, or at least check the histogram for a graph that’s shifted to the right. But really there shouldn’t be any excuses at this end of the market. The shutter speed range remains the same as before, from 30 seconds to 1/8000 with a 1/250 X-sync speed, although Nikon now quotes 200,000 frames for the block. Note Canon’s 5D Mark III has a fastest flash-sync speed of 1/200, and a shutter block rated to 150,000 actuations. Perhaps revealing of the target audience, the D800 doesn’t bother itself with scene presets or even a fully Auto mode – instead you get PASM and that’s your lot. As always, Nikon delivers the goods for exposure bracketing and now proudly includes a dedicated bracketing button on the upper left side of the body. The D800 offers 2-9 frame exposure bracketing with increments up to 1EV apart, making it a fantastic choice for HDR fanatics. There’s also exposure compensation of +/-5EV. Canon’s greatly improved bracketing on the Mark III and now offers three, five and seven frame options, but the D800 still has that deeper nine-frame option. There’s also a new Quiet shooting mode and an HDR option lifted from the consumer line where two exposures up to 3EV apart are combined into a single image in an attempt to boost dynamic range. Canon’s 5D Mark III goes one step further by combining three frames, but anyone with more than a passing interest in HDR will do it manually using the excellent bracketing facilities. If you’re into Multiple exposures, the D800 can automatically combine between two and ten separate frames and exploits RAW data to do a better job of it than subsequent post-processing in software. Where the D800 really scores over the Mark III in this category though are with its built-in timelapse and interval timer facilities. The Interval Timer does the job of a separate intervalometer and triggers the camera at pre-set intervals. You can choose the number of shots, the interval between them, and also delay the starting time if desired. I wish all cameras had this built-in. 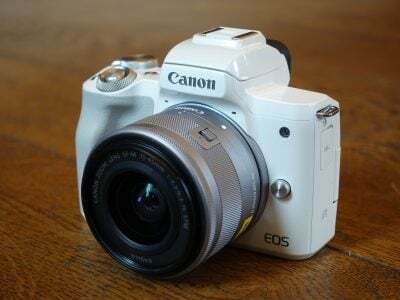 Sure the Canon DSLRs come with the free EOS utility which can do the same job but you’ll need a Windows or MacOS computer to run it which is another thing to carry around and another battery to drain on an overnight shoot. Meanwhile the Timelapse photography option also takes photos at pre-set intervals, but then automatically assembles them into a silent video using the currently selected movie settings. The maximum shooting time is 7 hours and 59 minutes. Timelapse fanatics will ultimately prefer to use Interval Timer shooting and create their video clips using, say, Photoshop, but being able to create in-camera Timelapse movies remains a fun and useful option, and again takes the D800 beyond what’s possible with the 5D Mark III out of the box. Nikon may have been first to market with a DSLR that could record video (with the D90), but it’s fair to say it’s big rival Canon was the one which took the ball and really ran with it, not only coming out shortly afterwards with the far more compelling feature-set of the 5D Mark II, but gradually refining its offering with each subsequent release. Nikon’s slowly been clawing back ground and with the D4 introduced its most capable video-equipped DSLR yet. The good news is the D800 shares almost exactly the same movie options at half the price. This means the D800 can film 1080p at 24, 25 or 30fps, 720p at 25, 30, 50 or 60fps, offers full manual control over the exposure, sports an external microphone jack and headphone socket for monitoring and features uncompressed HDMI output (8 bit, 4:2:2), allowing you to connect a larger and more detailed monitor, or capture the feed with a higher quality external recorder. The screen on the rear also remains active when driving an HDMI accessory. The D800 also offers fine control over the aperture using two buttons to the side of the lens mount, although in a hugely missed opportunity these aren’t active when the camera itself is recording video. You can however use them while outputting video over HDMI to an external recorder. You can additionally trigger video recording via the remote socket. The D800 also supports movies with the DX crop, effectively reducing the field of view by 1.5x without any loss of resolution, providing a handy boost in magnification. Interestingly the 1:1 crop mode of the D4 is missing here, but that’s the only real difference between these two models in terms of movie feature sets. Sure, the sensors on both cameras sport different resolutions which may have an impact on the down-sampling quality to video, but to all intents and purposes the only movie feature the D4 has which the D800 hasn’t is the 1:1 crop mode which on that model has a 2.7x field reduction. This is a great marketing message for the D800: like the D4’s movies? Get them for half the price with the D800! But while I appreciate the headphone jack, uncompressed HDMI output and fine aperture control, the actual movie resolutions and frame rates aren’t any different to what Canon’s been offering for years. I can’t be the only one who’s disappointed not to find 1080p at higher frame rates like 50 and 60p, allowing slow motion effects. The latest AVCHD standard supports 1080p at 50p and 60p with decent bit rates and has already been implemented for some time on Sony’s SLT and NEX cameras, not to mention a number of compacts too, so it’s a shame to find it missing on Nikon’s flagship 2012 DSLRs. That said Canon’s EOS 5D Mark III didn’t take the opportunity to offer 1080p at anything above 30fps either. Speaking of the Mark III, it’s worth noting some of the differences in their respective movie modes. As you already know, both cameras let you record a second shy of half an hour in 1080p at 24, 25 or 30fps, or 720p at 50 or 60fps, although the D800 additionally offers 720p at 25 and 30fps. Both offer two different compression options, the D800 with a choice of two bit rates, the Mark III with intra-frame (ALL-i) or inter-frame (IPB) compression. Both offer some form of silent controls, the D800 with its aperture buttons which become inactive when the body itself is recording, and the Mark III with tap controls on the rear which can adjust aperture, shutter, ISO or audio levels while filming. Both offer live HDMI outputs, but unlike the clean frame on the D800, the Mark III’s always has some overlaid graphics and also becomes downgraded a little in resolution once the body starts recording. And the D800 offers a DX crop for video which effectively multiplies the focal length by 1.5 times with no degradation in quality, whereas the 5D Mark III offers no crop mode – a sad decision since it’s present on the EOS T3i / 600D. Finally a note on the so-called continuous autofocusing capabilities of the D800’s movie mode. The full-time AF-F mode has been inherited from recent Nikon consumer models and sadly its performance is essentially unchanged. As such the AF-F mode simply performs a single contrast-based AF check every few seconds in an attempt to simulate continuous autofocusing, but the result is regular focus searching which is distracting both visually and audibly. If you want effective and reasonably discreet continuous AF for movies, you’ll be better off with a mirror-less CSC such as Nikon’s own 1 system, Sony’s SLT models, or Canon’s latest EOS T4i / 650D all of which sport quicker and more confident phase-change autofocus while filming video. Right, that’s enough of the theory and specifications; let’s see how the D800’s movie quality measures-up in practice. Now it’s time to compare the movie quality of the Nikon D800 with the EOS 5D Mark III. I started with an outdoor comparison, filmed from a tripod which pans slowly across a scene with a lot of fine detail. Both cameras were set to 1080/30p (the Canon with IPB compression), with the sensitivity at 100 ISO and identical exposures of 1/60 at f14. The samples are provided below, but I’d encourage you to view at full-screen, or better still download the original samples via Vimeo for your own analysis. Please don’t re-upload them to another site without permission though. I used VLC player under Windows to analyse the clips. In this example you can compare the Mark III against the D800 at 100 ISO under bright conditions. At first glance, this should represent ideal conditions, but the subject is actually very challenging as the buildings contain a lot of very fine detail which can cause moiré; this is especially the case while panning. While the cameras are static, both share a similar degree of real life detail, but as I begin to pan, watch the buildings in the lower part of the frame closely. On the Mark III they remain essentially free of moiré, but a little is creeping-in now and again on the D800, and when you’re looking for it, you’ll see it almost light-up in certain areas – in particular the large hotel near the bay. Once the camera is in motion, the Mark III wins this particular comparison. Next I took the EOS 5D Mark III and the Nikon D800 into a dim bar environment and filmed a slow panning sequence three times each, at 3200, 6400 and 12800 ISO. The Nikon D800 was fitted with the Nikkor AF-S 50mm f1.4G lens, but due to minor cropping on the D800 when filming, it’s not possible to match the coverage with the same lens on the Canon. So I fitted the Mark III with the EF 24-105mm f4L IS USM and adjusted the focal length until the field of view matched from the same position. In each case, the cameras were set to 1080/30p, and the Mark III set to IPB compression. The shutter speed on both cameras was manually set to 1/30 and the aperture to f5.6, f8 and f11 depending on the ISO value. The samples are provided below, but I’d encourage you to view at full-screen, or better still download the original samples via Vimeo for your own analysis. Please don’t re-upload them to another site without permission though. I used VLC player under Windows to analyse the clips. In the first of my low light examples you can compare the Mark III against the D800 at 3200 ISO. The Mark III is very clean and exhibits virtually no noise to speak of and there’s also no moiré to mention. The D800 shares a similar degree of detail, but there’s faint noise in the background and also evidence of moiré on the wooden window-frame to the brewery behind. You may also notice some flickering around the lights – this isn’t surprising since the bar was in a 50Hz region and I was filming at 30p, but it’s revealing there’s no flickering to mention on the Mark III clip, also filmed at 30p. A lead already for the Mark III. In the second example you can compare the Mark III against the D800 at 6400 ISO. Pixel-peepers may notice a slight reduction in detail on the Mark III compared to 3200 ISO, but it’s minor in this example and impressively the image remains almost completely noise-free and very clean to look at – and again no moiré or flickering to mention. In contrast the D800 is suffering with quite obvious noise textures, along with moiré on the wooden window-frame and flickering on the lights. The Mark III is taking a comfortable lead now. In the third and final example you can compare the Mark III against the D800 at 12800 ISO. Here the Mark III may be resolving less detail than at 6400 ISO, but the image still looks surprisingly good and again remains very clean with no real noise artefacts to mention. In addition, there’s still no moiré on that window-frame and despite filming at 30p under 50Hz lighting, there’s no flickering to mention. In some contrast though, the D800 looks very noisy in this clip which essentially renders the footage unusable. The moiré also remains on the window-frame, as does the flickering. The results here are not dissimilar to those in my previous 5D Mark III versus 5D Mark II comparison. The D800 is certainly doing a good job to deliver similar results to the Mark II, but at 3200 ISO and up, the Mark III simply delivers considerably cleaner results. Meanwhile the D800 appears to suffer from moiré like the earlier Mark II, which doesn’t seem to present an issue for the 5D Mark III. And finally it’s interesting to see the Mark III coping well with mis-matched lighting frequencies, when the D800 flickered as you’d expect. So overall while Nikon has done a good job with the D800’s video quality, Canon remains a step-ahead with the 5D Mark III. At low ISOs, the resolution may be similar, but at high ISOs, the Canon easily takes the lead. And in terms of moiré, it’s visible on most of my D800 samples at low and high ISOs, whereas it’s simply not present on any of my Mark III clips. So for video quality in my tests here, the Mark III beats the D800. Just before wrapping-up this section, here’s three more clips filmed with the Nikon D800. In this clip, above, I’ll demonstrate why video-equipped DSLRs are still not ideal for casual shooting. Here I pan the camera around by 180 degrees, then attempt to zoom in and out with the 24-70mm lens. The result is okay, but there’s some jerky motion particularly during the zooming process. If you want to film and zoom, especially handheld, then you’ll be much better-off with a mirror-less CSC such as a Sony NEX, M4/3 or Nikon 1, a Sony SLT or even a point-and-shoot compact or super-zoom. On the upside there’s not much evidence of the rolling shutter effect, and moire isn’t too bad here. Here’s another tripod-based clip, but this time indoors at much higher sensitivity. The clip pans-up from the table before refocusing on the background. While this was a single AF process, it does illustrate the time taken to take a reading and adjust the lens, and how it’s clearly not ideal for true continuous focusing. Like the earlier indoor clips from the same location, there’a also some moiré visible in the window frame. My final clip for the movie section demonstrates the shallow depth-of-field that’s easily achieved on the D800. Here I used nothing more exotic than a 50mm prime lens with a maximum aperture of f1.4. Sadly as demonstrated above, the D800 isn’t capable of performing a smooth automatic pull-focus from one subject to another without slow and visible searching, so here I’ve done it manually. I’m no expert at focus-pulling, but this clip proves it is possible to achieve fair results with minimal rehearsals. Very shallow depth-of-field effects are what full-frame bodies like the D800 excel at when fitted with the right lens. The Nikon D800 can shoot at 4fps in its full-frame FX or 5:4 modes, or 5fps in the DX and 1.2x modes; the latter pair can be boosted to 6fps with the optional battery grip, so long as you’re also using the right batteries. The earlier D700 offered 5fps in its FX mode, boostable to 8fps with the battery grip, again when fitted with the more powerful battery options. So the D800 is slower than its predecessor, but I think it’s churlish to complain given its 36 Megapixel resolution – put it this way, it’s considerably faster than any medium format body and if you want a quicker DSLR, there are lots of lower resolution bodies to consider. How many frames can you capture in a burst? Nikon quotes 16, 17 or 20 uncompressed, lossless or compressed RAW files respectively in the 36 Megapixel / 14 bit mode. JPEG shooters can capture up to 56 Large Fine 36 Megapixel JPEGs in a burst, and if you’re willing to increase the compression or reduce the resolution, you can increase this to 100 frames. Interestingly like some earlier Nikon DSLRs, the D800 manual states the maximum number of frames in any burst is 100, even if the resolution is lowered, although at 6fps with the battery grip, that’d still take over 16 seconds. Continuous shooting is however one key specification where the Canon EOS 5D Mark III takes the lead, capturing up to 6fps with a buffer that’s good for a quoted 18 RAW files or over 6000 JPEGs (when equipped with a UDMA-7 1000x CF card). These are all quoted figures though, so to find out how they performed in practice, I tested both cameras side-by-side on the same subject, with the same memory cards and the same exposure settings. I set both cameras to a shutter speed of 1/800, sensitivity of 400 ISO and disabled any auto contrast-enhancements. I didn’t have access to a UDMA 7 1000x Compact Flash card, so used the next quickest standard instead, a 16GB Lexar UDMA 6 card, rated at 600x while for SD I used a 16GB SanDisk Extreme Pro UHS-1 card. I’ll give you the results for the D800 first. I started with the UDMA-6 CF card, which allowed me to capture a burst of exactly 100 Large Fine FX-format shots in 24.53 seconds, corresponding to a speed of 4.03fps; the manual quoted 100 shots and indeed the D800 stopped dead at this point, and took a considerable 66 seconds to flush the buffer to the card. I then switched to Lossless-compressed 14-bit RAW and captured 19 FX shots in 4.46 seconds, corresponding to a rate of 4.26fps. This time the camera could continue firing afterwards, but at a reduced speed of just under 2fps. Letting go of the shutter at 19 frames took 14 seconds to flush the buffer. I then put the DX-format to the test which captures 16 Megapixel images from the middle of the sensor with a 1.5x field-reduction crop – essentially like using a D7000. Sticking with the UDMA-6 CF card I captured the quoted 100 Large Fine JPEGs in 19.59 seconds before stopping dead, corresponding to a speed of 5.1fps with a 62 second flush of the buffer. Switching to losslessy-compressed 14-bit RAW files in the DX format, I fired-off 40 frames in 7.78 seconds, corresponding to a rate of 5.14fps with a flush time of 33 seconds. I then returned to the full FX frame size and switched the CF card for my UHS-1 SD card. I expected to capture 100 Large Fine JPEGs at the full speed, but was surprised to find the D800 stalling after 42 images in 10.25 seconds, corresponding to a speed of 4.09fps and with a buffer flush time of 44 seconds. Switching to losslessly-compressed 14-bit RAW files I captured 16 frames in 3.71 seconds, corresponding to a speed of 4.31fps with a buffer flush time of 25 seconds. Like the Mark III the D800 can record to both cards at the same time, so I configured it to first duplicate the images on both the CF and SD cards. This time I could fire-off 31 Large Fine FX-format JPEGs at 4.16fps with a 27.24 second flush time. Switching to losslessly-compressed 14-bit RAW files saw 16 frames captured in 3.73 seconds or at 4.28fps with a 14 second flush time. Next I configured the camera to record losslessly-compressed 14-bit RAW files to the CF card and Large Fine JPEGs to the SD card, both in the FX format. The D800 managed 16 frames in 3.82 seconds, or 4.18fps with a 17 second flush time. Switching the configuration so JPEGs were recorded to the CF card and RAW to the SD card allowed me to capture 15 frames at 4.33fps with a 14.68 second buffer flush. Phew that was a lot of testing. Now let’s look at those figures. First things first: the D800 achieves its quoted speeds of 4fps in FX format and 5fps in DX format for JPEGs and slightly exceeds them in RAW. It also pretty much delivered the quoted buffer capacities, although I managed to squeeze a few more RAW files from the DX mode than the manual suggested. Either way when it came to JPEGs, 100 was the absolute maximum with the camera stopping dead at that figure as quoted. 4fps may be one third slower than the 6fps of the Canon 5D Mark III, but then the D800 is wrangling 50% more pixels in total. It’s nice to accelerate the D800 by cropping down to the DX mode, but this time you’re only getting 5fps despite a drop to 16 Megapixels – so in that respect it’s beaten on speed and resolution by the Mark III. And yes I know you can match the Mark III’s speed in the DX mode, but you’ll need the optional battery grip fitted with the right batteries and even then it’s still 6 Megapixels shy of the Mark III, not to mention using a cropped frame. So the D800 isn’t going to set the world of action and sports photography alight with those speeds, but 4fps can get you by in many situations and it remains impressive given the amount of data being handled. In terms of comparing card formats, both UDMA-6 and UHS-1 cards could shoot at the same speed, but the former boasted larger bursts (especially so for JPEGs) and noticeably quicker flush times. So like the Canon Mark III, fast UDMA CF cards are preferable for the best continuous shooting performance. As for comparing the card performance of the two cameras, the Canon 5D Mark III outshone the D800. Fitted with the same UDMA-6 card, the Mark III captured 183 Large Fine JPEGs at 6fps before I got bored and let go with a split second flush time compared to 100 shots on the D800 with an excruciating 66 second flush. Sure the D800 images were larger, but that’s a big difference in processing and write times. It’s also revealing to look at the UHS-1 performance, as while the Mark III claims not to exploit their extra speed, it did capture 181 frames (again until I got bored and let go) at 6fps with an eight second flush time compared to 42 images on the D800 with a 44 second flush time. Again the D800 was handling bigger images (typically twice the file size for JPEGs of the same scene when both were set to their best quality), but that still works out slower. Maybe it was the card interface, maybe the image processor, or some other factor at play. But the imaging pipeline as a whole on the D800 was slower. So while some may have criticised the Mark III for not exploiting the speed of UHS-1 cards and paid respect to the D800 for supporting them, it’s important to look beyond the specs, perform some benchmarks and actually compare real numbers. And at that point, the Mark III looks much more respectable for action photography, especially coupled with its more sophisticated AF system. If you only know one thing about the D800, it’s the whopping 36 Megapixel resolution. Nikon has equipped the D800 with a brand new full-frame FX-format sensor which represents a massive upgrade over the 12 Megapixels of the D700, not to mention a significant boost over the 22.3 and 24 Megapixels delivered by Canon’s EOS 5D Mark III and Nikon’s D3x respectively; indeed the resolution is now within what’s traditionally regarded as medium format territory, although pixel-fanatics should know that particular market is now pushing 80 Megapixels, and you can see a comparison in my Nikon D800 vs medium format test page. But let’s not allow medium format to rain on the D800’s parade as it represents a completely different market at a considerably different price point. The D800’s sensor delivers images with a maximum resolution of 7360×4912 pixels, which at 300dpi can be reproduced at 24.5×16.4in. Compare that to the 4256×2832 pixels of the D700 which at 300dpi could be reproduced at 14.2×9.4in, or the 5760×3840 pixels of the 5D Mark III which can be reproduced at 19.2×12.8in and you’ll quickly realise the D800 represents a significant leap over existing DSLRs. I know I said I wouldn’t mention medium format again, but place two D800 frames on top of each other and you’re essentially matching the 10328×7760 resolution of the PhaseOne IQ180 and fast-approaching its sensor dimensions too. Incidentally you may be wondering why Canon chose to upgrade the Mark III by only one Megapixel over its predecessor. The answer is its new image width of 5760 pixels is perfectly divisible by 1920, the width of Full HD video. This in turn makes it easier to down-sample the full sensor width to the HD frame while avoiding cropping and minimising scaling artefacts. Canon knew the 21.1 Megapixel resolution of the 5D Mark II was a sweet-spot for photo quality, so it simply adjusted the figure to the closest number which was easily divisible for HD video. Meanwhile the D800’s resolution is not evenly divisible by 1920 which means it has a harder time down-sampling. This is evident in my video comparisons earlier where the D800 suffered from moiré at times where the Mark III simply avoided it. Significantly boosting sensor resolutions can also involve compromises in noise and dynamic range. At first glance the 36 Megapixels of the D800 might ring alarm bells, but the larger surface area of the FX sensor actually means the pixel-pitch is roughly the same as the D7000. Now of course the sensor itself is different, but it wouldn’t be unfair to speculate the D800’s noise and dynamic range performance could be similar to the D7000 and you can find out for yourself in my Nikon D800 noise results pages – I think you’ll be pleasantly surprised. Like previous Nikon FX bodies, the D800 also offers a DX-format crop mode which effectively reduces the field of view by 1.5 times. This was never all that compelling on earlier models as the subsequent resolution was low – just 5.1 Megapixels on the D700 – but with the considerable resolution of the D800, the DX crop mode actually still has 4800×3200 pixels (15.4 Megapixels) to play with. Compare that to the D7000 which captures 4928×3264 pixels and you’ll realise they’re almost exactly the same, and that’s more than just a nice coincidence. It means the D800 actually represents a compelling upgrade path for D7000 owners as they’ll be able to use all their existing lenses without any compromise in resolution, yet enjoy full-frame coverage with a whopping 36 Megapixels should they fit a lens which supports the FX frame. Along with the 1.5x DX crop, the D800 also offers two additional cropped modes: a 1.2x format which captures 6144×4080 pixels (25 Megapixel / 30x20mm) and a 5:4 format which captures 6144×4912 pixels (30.2 Megapixel / 30x24mm). In both cases, along with the DX crop mode, a portion of the viewfinder is greyed-out to indicate the actual coverage, while in Live View, the image is scaled-up to fit the screen. You may well be wondering what these formats are for. Most obviously the 5:4 aspect ratio matches that of the popular 10x8in print size, allowing you to frame precisely for it rather than taking risks with cropping later. The 1.2x crop is a little odder and reminiscent of the 1.3x crop of Canon’s APS-H sensors. I agree with Cameralabs’ forum moderator and Nikon-phile Thomas though who reckons it’s a great option for enjoying ‘bonus’ coverage from the better DX-format lenses out there. DX-format lenses may be officially corrected for a DX imaging circle, but many actually deliver decent performance a few mm beyond. Fit them to an FX body and you’ll enjoy the coverage beyond the DX frame and while none will be sharp to the corners of an FX frame, they could come close given the 1.2x crop. So the 1.2x crop mode could actually unlock the potential from many above average DX lenses without the need to crop manually later – another great reason for DX body owners to upgrade. Conversely the 1.2x crop is also a more forgiving frame size for any FX lenses which suffer from vignetting or lack of sharpness in their extreme corners. It should also be added the various crop modes are generating smaller file sizes which occupy less space (on the card and your hard disk) and require less processing muscle to work, all of which may be important to some. And in the case of the 1.2x and DX (1.5x) crop modes, the smaller files also allow the D800 to squeeze out a little extra continuous shooting speed, boosting the standard 4fps at the maximum resolution to 5fps or 6fps if you’re also using the optional battery grip (with the right battery). Each of the D800’s four image area options are available at two lower resolutions and can be recorded in a variety of formats: you can choose from three JPEG compression settings, RAW with 12 or 14 bits and the choice of lossy, lossless or no compression at all, or an 8-bit TIFF should you really want one. The sensitivity runs between 100 and 6400 ISO, expandable to 50 and 25600 ISO. The top-end matches the extended option on the D700, although 50 ISO is half the lowest option on that model. Meanwhile the D4’s sensitivity runs between 100 and 12800 ISO, expandable down to 50 ISO and all the way up to 204,800 ISO. This means the D4 boasts a maximum sensitivity that’s three stops greater than the D800, and while its larger pixel pitch should mean lower noise levels, I suspect we’re talking emergency use only at the very highest settings. Likewise for the EOS 5D Mark III which may have a top sensitivity two stops higher at 102,400 ISO, but you won’t be using it for much. Before moving on it’s worth giving a respectful nod to the newly updated Auto ISO setting which can now take lens focal length into account – a more useful feature than it sounds. Before moving onto my results, it’s time to discuss the fact there’s actually two versions of the D800. The alternative D800E version employs a modified optical low pass filter to essentially eliminate the anti-aliasing effect. Now for the science: most digital camera sensors employ a grid of square pixels to capture the scene, but if the subject contains patterns which approach the same apparent size as the sensor grid then problems can occur. This could be triggered by distant fencing, vents, or most problematically, repeating patterns on textiles and clothing, and the result are shimmering interference artefacts known as moiré. It’s the same effect you see when someone wears clothing with fine stripes on the TV. Believe it or not, the common solution is to actually employ a filter in front of the sensor which slightly blurs this fine detail, thereby greatly reducing the risk of moiré, but also of course at the cost of losing the finest details. Frustratingly if your subject doesn’t contain these troublesome patterns, you’re effectively losing resolution for no reason. So the D800E employs a modified filter system which effectively removes the part which blurred the image. The advantage is greater potential for fine details, although the downside is greater potential for visible moiré. This may be a radical step for a DSLR, but it’s not the first time the low pass filter has been removed from the equation by any means. Medium format cameras have long operated without low pass filters, as has Leica’s M9. The typically high resolutions of medium format sensors mean most fine patterns are actually resolved, therefore making moiré a rarity, but interestingly Leica feels it could get away without one on the M9 which ‘only’ has 18.5 Megapixels. So how big is the risk of moiré in reality? It of course depends on what you shoot. The biggest problem is with very fine repeating patterns, most commonly found in man-made textiles and clothing, so portrait and wedding photographers should probably beware. Likewise for architectural work where there could be fine vents or window frame details. But if the patterns are mostly natural, you should be okay. I should also mention moiré can be greatly reduced or avoided by simply adjusting your distance from the subject even by a small amount. Nikon also includes moiré reduction options in its Capture NX software, so it may not be a big issue at all. Indeed it begs the question if moiré only affects some subjects and can be reduced in software, then why have a low pass filter at all? I put this to Nikon and they replied most users were not willing to spend time caring about negative side effects of a modified AA filter and while software can suppress the effects of moiré, it cannot fully remove it. I also asked about the impact of the D800E’s filter system on movies but was assured there was none – the actual down-sampling of the full sensor resolution to a video frame is the bigger issue. So assuming you’re happy to pay the extra 10% or so for the D800E, the question of which model to go for seems to boil down to whether you mostly shoot natural or man-made subjects, and if you’re willing to accommodate some additional processing where necessary. Ultimately it’s something I’ll need to put to the test with side-by-side comparisons in the future, but you certainly don’t hear of many medium format or Leica M9 owners complaining about moiré. Phew, now it’s time for my results pages, starting with resolution in my Nikon D800 quality page, or if you’ve seen enough, skip straight to my verdict!